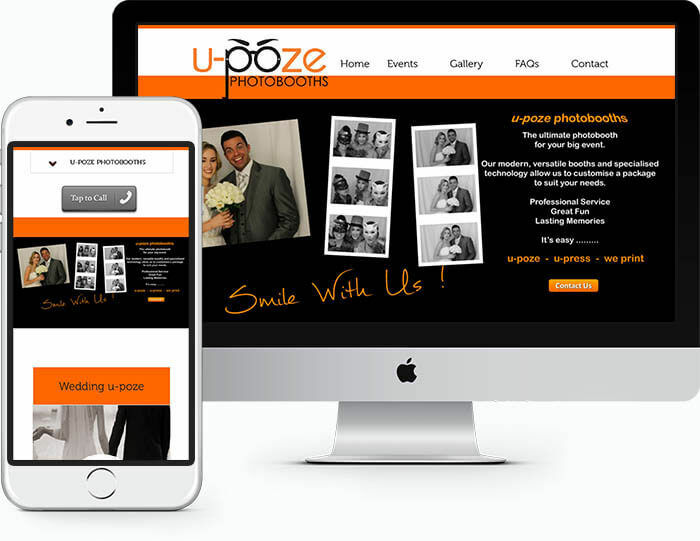 U-Poze Photobooths is a business set up to take advantage of the growing use of photobooths at special occasions, particularly weddings. From the outset, the website was a key part of the overall business strategy and indeed, the website went online before the first booking was taken. It is an attractive fun web design which demonstrates how the photobooth works & shows people enjoying themselves. Most importantly it features private, password protected photogalleries where clients & their guests can access the photos taken at the relevant events. We found hoot.ie to be so professional and helpful through all the stages of our website creation, from the initial meeting in Dublin to follow up calls with technical advice. U-poze would not hesitate in recommending hoot.ie to anyone looking for web design and set up.